Our boat fights the fury of Amihan, the northeast monsoon. I’m fighting just to keep my dinner down. 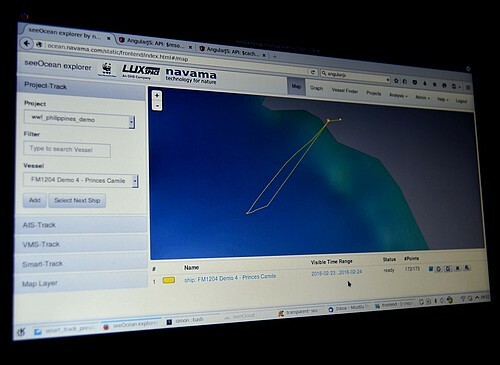 It’s night and we’re on the Princess Camile, a tuna vessel going head-to-head with angry six-foot waves. I gaze out at the darkness. I have no idea where we are – but a little gadget attached to our boat mast does. 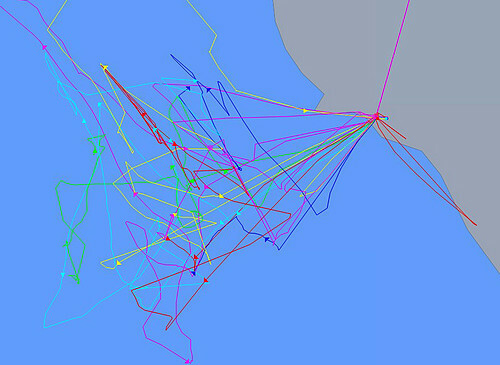 To track the routes of fishing boats in the Philippines' Mindoro Strait, WWF and NAVAMA have outfitted 13 vessels with satellite trackers, the same kind used for commercial cargo. 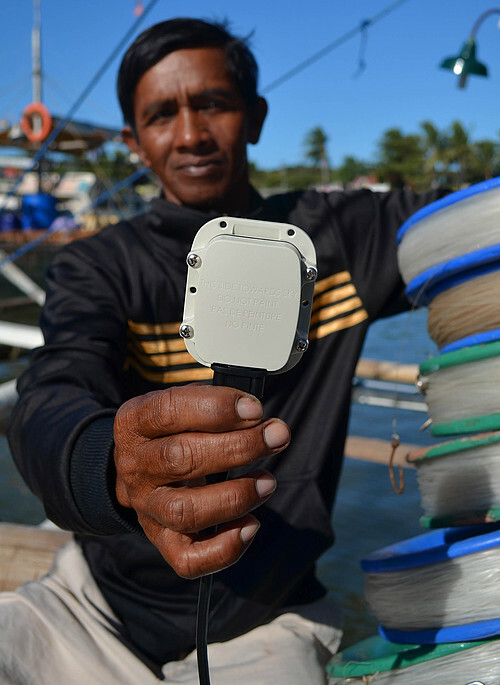 With local fishers, government leaders, plus the Philippines' Bureau of Fisheries and Aquatic Resources, WWF and NAVAMA are promoting fisheries transparency and safety at sea through the Smart Track Project. Fisheries transparency – where and how fish are caught – is a global issue. 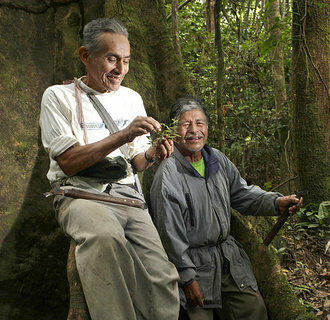 Too often are fish gathered through illegal means or from areas that should be off-limits to fishing. Many catches remain unreported. In December 2006, the M/V Hoi Wan, a Chinese fishing vessel, was caught poaching off the Tubbataha Reefs in Palawan. Among its catch were 359 legally protected Napoleon wrasse, which can be illegally sold for P6,000 (roughly US$130) per kilogramme. The European Union estimates that about 26 million tonnes of seafood – 15 per cent of global yields – are caught via illegal, unreported and unregulated (IUU) fishing. The Philippines was issued a yellow card in June 2014 for failing to curb IUU fishing. The rating warned the country that unless it addressed IUU fishing, its seafood products would be banned in Europe. 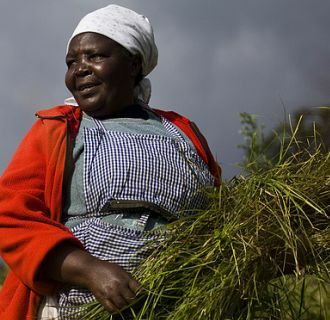 The yellow card rating was lifted in April 2015, after the government replaced its ancient fisheries code with Republic Act 10654 while vigorously promoting sustainable fishing. He shrugs and shakes his head. “Only a tuki. Snake mackerel.” Though we didn’t score any tuna, we smile as our boat does a 180-degree turn. Our sea legs will be glad to be on terra firma. 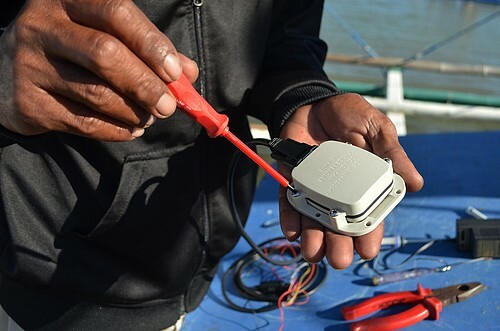 “Fishers aboard satellite-equipped boats can proudly show the world that they only fish in proper zones,” shouts team leader Joann Binondo above the whistle of the wind. 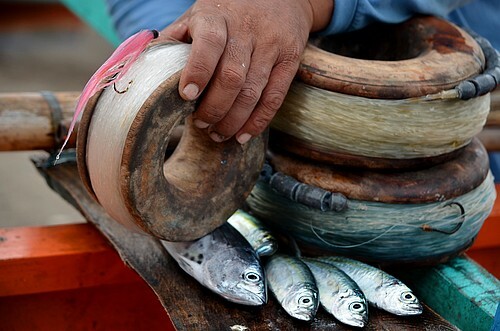 Binondo heads WWF’s Partnership Programme Towards Sustainable Tuna (PPTST). 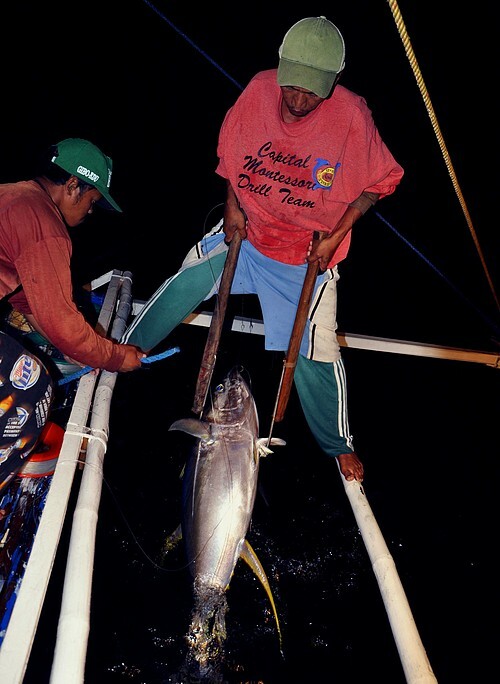 Since 2011, they’ve been working to enhance yellowfin tuna management practices for 5,800 fishers in 112 tuna fishing villages in Bicol and Mindoro. Funded by Bell Seafood, Coop, Marks & Spencer, New England Seafood, Seafresh, Waitrose and the German Investment and Development Corporation, PPTST has spearheaded the registration and licensing of tuna fishers, vessels and gear to minimize bycatch and illegal fishing. It’s nearly midnight when we glimpse the faint lights of Mamburao. Illuminated by moonlight are hundreds of moored fishing boats. Mamburao’s fleet is a thousand strong, with a single boat landing 45 yellowfin tuna in just five days. That’s a whole lot of fish, which is why WWF is helping locals manage these stocks.